There’s an adventure junkie hidden within all of us. If you’re like me, you probably have a bucket- list filled with all those amazing and epic experiences you’ve always been dreaming of. Be it flying around amid the northern lights, going skydiving, bungee jumping or riding that one epic roller coaster, the list of epic adrenaline activities is never ending. Skydiving definitely tops the list of these adventures. Jumping off from the edge of the world floating around with a beautiful view beneath, wishing you’d never land. There are n numbers of destinations around the world to get that adrenaline running. 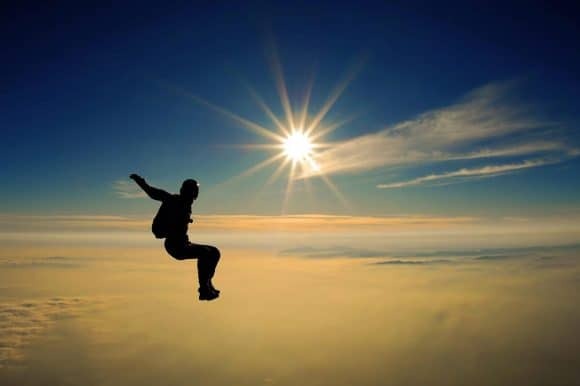 But, there are some skydiving experiences that definitely top the list of crazy experiences to last you a lifetime! The crème de la crème of skydiving experiences, if you will! Here’s the list of five epic skydiving experiences that would definitely top that bucket-list of yours! Everyone must have dreamt of seeing the northern lights at least once in their lifetime. I mean, who doesn’t get fascinated by those enchanting swirls of colors in the beautiful starry night sky? What if you could actually float amid those beautiful northern lights? Did your eyes twinkle with just the idea of it? 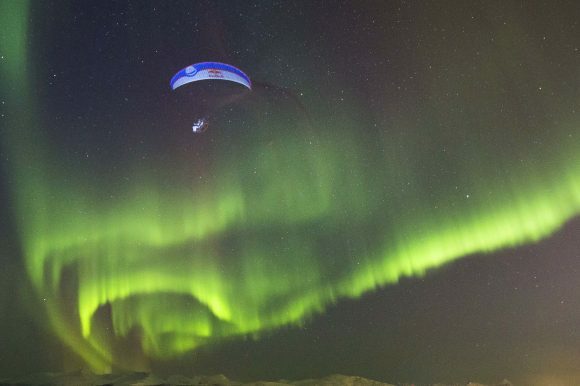 Last year, a guy named Horacio Loren’s video of gliding through the northern lights had us all dreaming of being up there. This is an experience you definitely won’t forget! 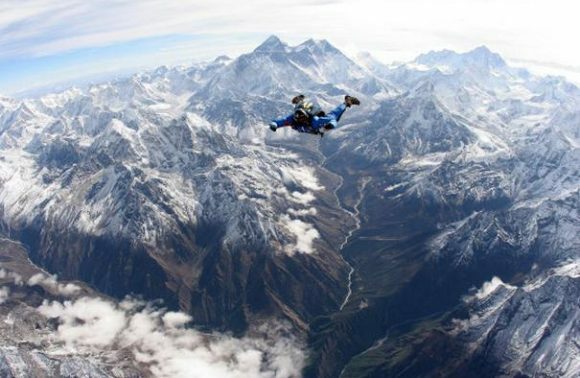 Imagine jumping right off the plane and floating over the majestic snow clad Himalayas. Now that’s a spiritual journey over the mountain I’d take in a breath! 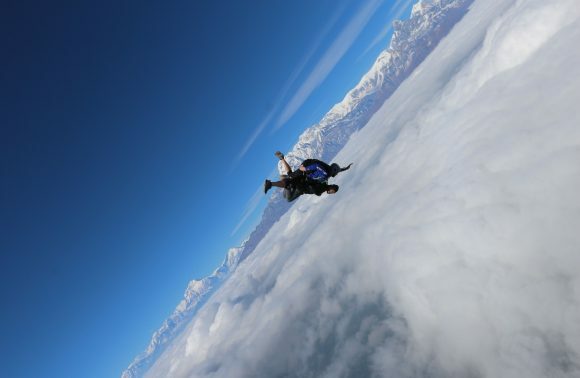 Skydiving in Nepal is an annual event held every year with special permissions from the Nepal government. 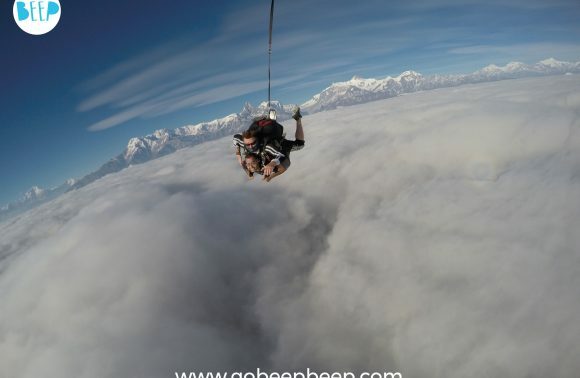 Here, commoners like me can train with the best and skydive over the mighty Himalayas. Jumping off from an altitude of 15000 ft. with tonnes of snow beneath you as you fall through the clouds is an experience right out of a dream! Skydiving in virtual reality is now a possibility thanks to Royal Cruise. This one’s for those adventure junkies who want to experience the thrill of skydiving, but can’t make the jump just yet. You can experience the adrenaline rush indoors. All hail high tech! The indoor skydiving experience lets you dive in virtual reality inside a wind tunnel built on Royal cruise. You can skydive over majestic landscapes with no prior training, all in virtual reality. A pretty neat deal, I’d say. What if you could skydive with no planes? How’s that possible? With drones. Yes, you heard it right. Back in May 2017, skydiver Ingus Augstkalns made the world’s first drone jump with the help of 28-propeller drones. No planes, no mountains, no skyscrapers required! Well, this skydiving experience is a little exclusive as of now as the technology is still under development. But, the future seems near. All you’d need is drones to lift you above ground. Dubbed as one of the most dangerous adventure sports, Banzai skydiving experience originated in Japan. Why is it so dangerous, you ask? Well, let me enlighten you then. When it comes to Banzai skydiving, a diver’s parachute leaves the plane before him. Banzai skydiving is basically throwing off your parachute from the plane and jumping after it. The process is to get hold of your parachute in time to make a perfect landing. This one’s definitely not for the faint of heart. From insane to beautiful, these skydiving experiences will surely make up for memories to last you a lifetime. So, go ahead edit that bucket list. Adventure awaits!